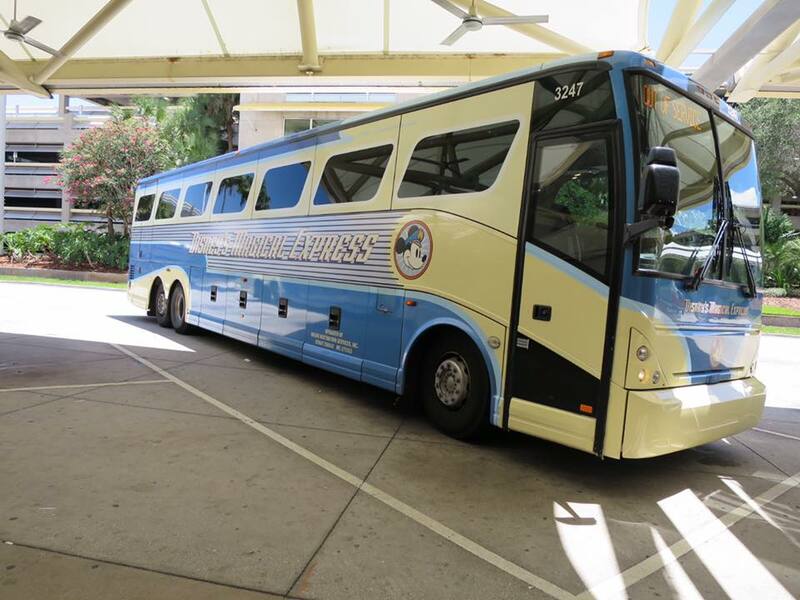 Disney’s Magical Express is a complimentary motor coach transportation service that takes you from the Orlando International Airport (MCO) to your Walt Disney World Resort hotel. Complimentary luggage delivery is also included with this service. To qualify, just stay at a participating Walt Disney World Resort hotel. When you land at MCO head directly to Disney’s Magical Express located in the Ground Transportation Area on Side B, Level 1. To make it easier, have your MagicBands on before you arrive at the check in desk. A cast member will scan your MagicBand to check you in and tell you which number line to go to. The lines are separated by resorts. The motor coach will stop at multiple resorts during each trip. Most of all, Disney’s Magical Express runs 24 hours a day. Luggage delivery is available between 5:00am and 10:00pm. You will receive Magical Express luggage tags with your final documents. If you would like to take advantage of this service, place the tags on your luggage before you check your bags. No need to stop at the baggage claim after you land. Cast members will grab your bags and deliver them to your resort for you. You may receive your luggage hours after you arrive at your hotel. Due to this, it is best to keep medications, essentials, and valuables with you. If you arrive between the hours of 10:00pm and 5:00am you will have to collect your luggage at the baggage claim and take it on the Magical Express bus. No worries, a cast member is there to help load and unload your luggage underneath the motor coach. Luggage delivery is optional. 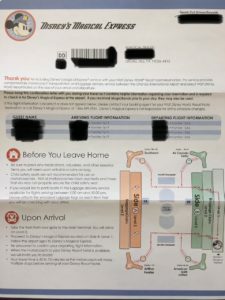 The day before check-out, a Transportation Notice will be delivered to your room. The departure time and place for your motorcoach ride back to Orlando International Airport are listed on this notice. The time of your departure will depend on the time of your flight. 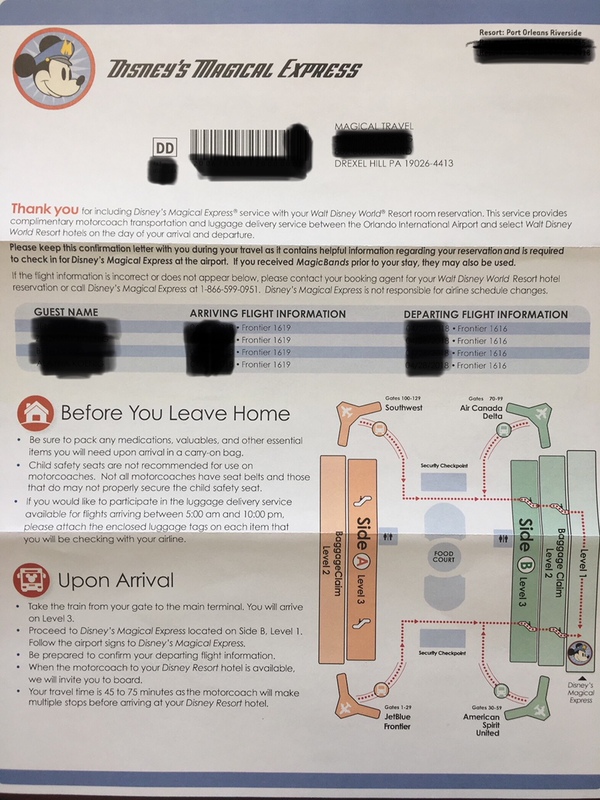 In order not to miss your flight, Disney Magical Express calculates travel time to MCO, security, and gate arrival. 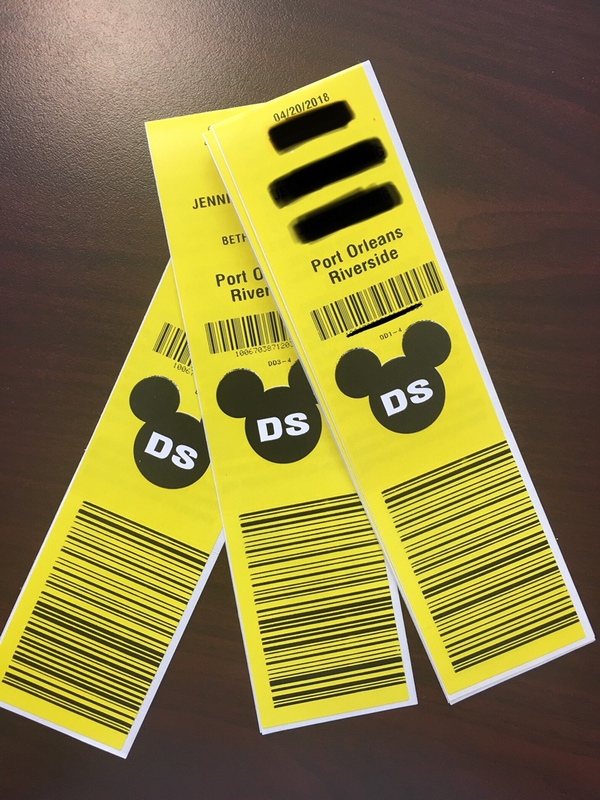 Be sure to have your Transportation Notice on hand when it’s time for your Disney’s Magical Express departure. Your motorcoach driver will collect the Transportation Notice prior to boarding. MagicBands cannot be used for the departure service. 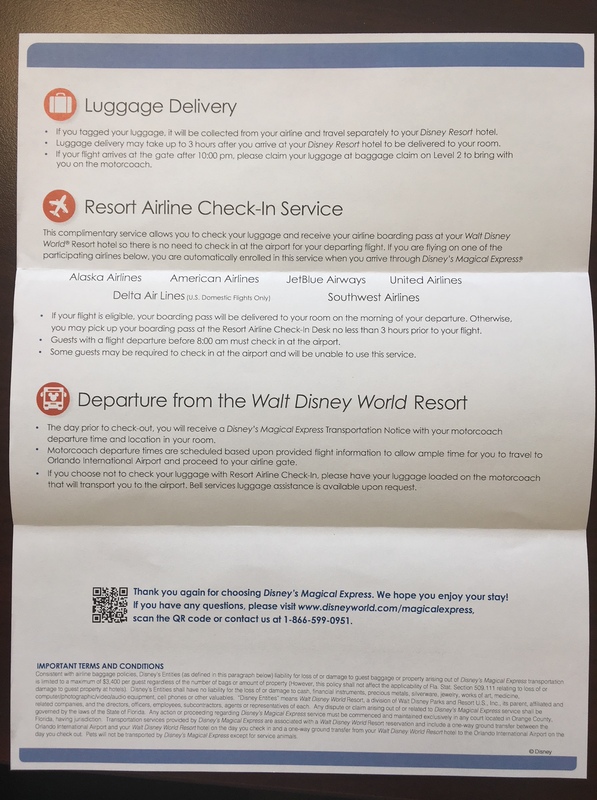 When flying with a participating airline and staying at select Disney Resort hotels, you are automatically enrolled in the Resort Airline Check-In service. 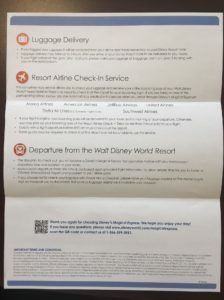 This service allows you to obtain your boarding pass and check your luggage at your Disney Resort hotel. This allows you to bypass airport check-in completely. If your flight is after 12:00 PM, your boarding pass will be delivered to your room on the morning of your departure. If you choose not to check your luggage with Resort Airline Check-In, please have your luggage loaded on the motorcoach that will be taking you to the airport.